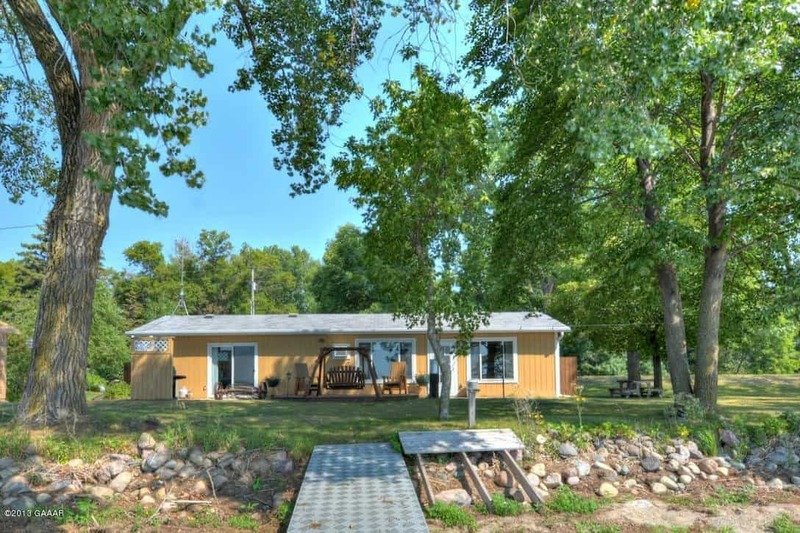 Last week I added a new lake home listing in the MLS that has 225 feet of level shoreline on Lake Villard. The lake is in between Alexandria and Glenwood and is part of a three lake chain with the other lakes being Amelia to the south and Leven to the north. The size of Lake Villard is 536 acres with 3.6 miles of shoreline. Plenty of room for recreational boating and swimming. Fisherman are able to hook walleye, northern pike, bluegill, black crappie, yellow perch and large mouth bass. At the north end of the lake nearby the listing I mentioned is Knapp Park. A woman named Lois Pennie Knapp donated it to the town in 1963 in honor of her husband. The park is 33 acres and work mostly done by the Villard Improvement Committee has resulted in camping facilities with electric hookups, picnic shelters, a group camping area and playgrounds. People that live at Lake Villard also can hop on a bike and get on a paved trail that will bring them to downtown Glenwood. The trail mostly follows the railroad bed of the Northern Pacific segment between the two cities. The town of Villard was named after the president of the Northern Pacific Railroad Company, Henry Villard. in 1883 the city sprang alive from a wheat field and quickly had prosperous businesses, stores, market places, a school, a church and homes. Villard continues to have a peaceful small town atmosphere.